Widely used on US aircraft during WWII. MR. PAINT AQUA is an acrylic water based paint designed to supplement the main MRP line of paints. It can be brushed on or applied with an airbrush. They are colour matched to lacquer MRP paint range and are ideal for touch ups with a brush. Initial testing suggests that brushed on they are a near perfect colour match to main MRP line in both colour and shine. 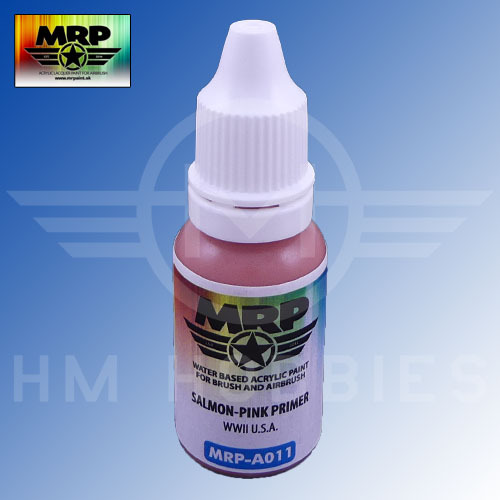 Applied with an airbrush they tend to have a very slightly different finish to the main MRP line.